Get Busy 'Cause It's A New Month! You see, most times, people wait until the end of the year before they start thinking about how the whole year have gone for them. Then they start making plans on how they will better themselves in the coming year either by setting new goals or changing their strategies towards achieving their already set goals. The call it New Year resolutions. But I now want to make a small or slight modification to all that. How about you start now to set up your own monthly goals? You can call it my [insert the particular month] resolution. For instance, now that we are in February, you can call it February Resolution! You’ll agree with me that doing something like this might even help you to achieve more in any given year. So why not just go ahead and set up this month’s resolution for yourself. Me, I have already done that for myself. In fact, this whole discussion came up as a result of that. Care to know what my February resolution is? I want to become Java proficient before the end of February. Looks like I only have 27 more days to complete this resolution. That will show you how much time flies. So you can go ahead now and copy me. 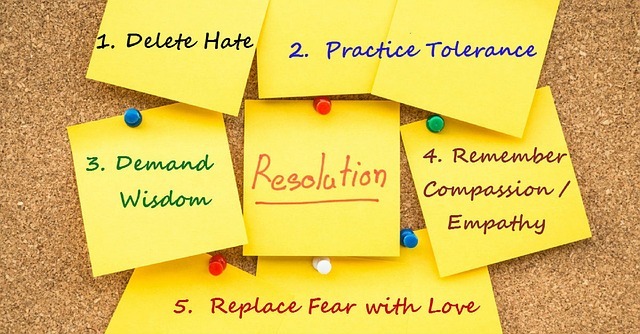 Choose your own February goals or resolutions. Trust me, it’s very empowering and so exciting—the feelings!